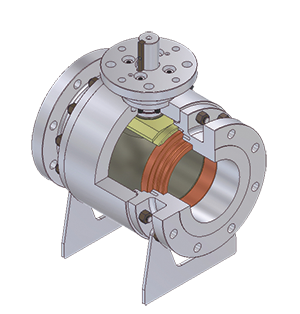 PERAR Trunnion Mounted Bolted Body Side‐Entry Ball Valves represent the basic design standard. They are manufactured in a wide range of sizes and pressure classes typically from forgings. 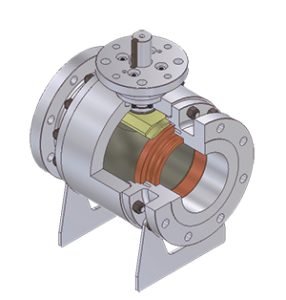 The ball of trunnion mounted configuration is supported by external trunnions bolted to the body. 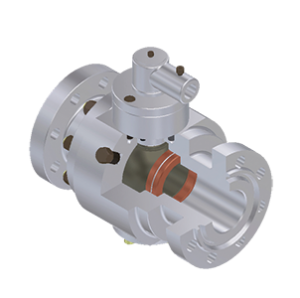 In such a way the pressure loads are transferred to the valve body granting a smooth rotation of the ball with low torque levels and reduced seat seal wear.